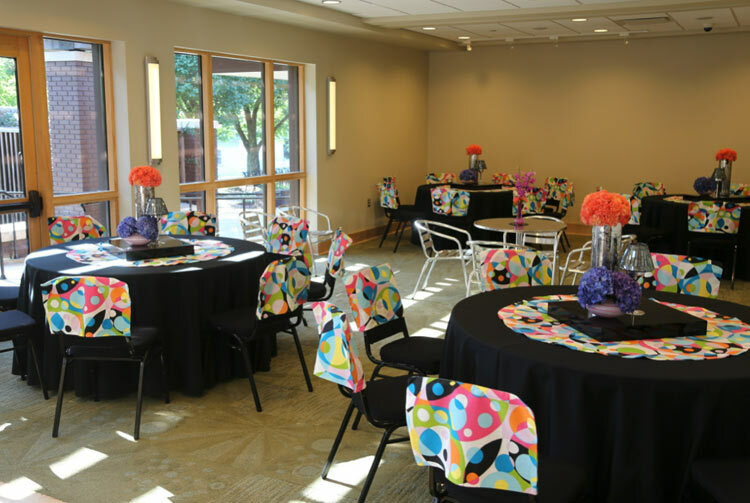 Have your event on the grounds of the Elvis Presley Birthplace. Enjoy scenery where Elvis was born and raised. See the “Walk of Life,” the scored concrete circle surrounding the birthplace giving facts of his life while Elvis lived in Tupelo. 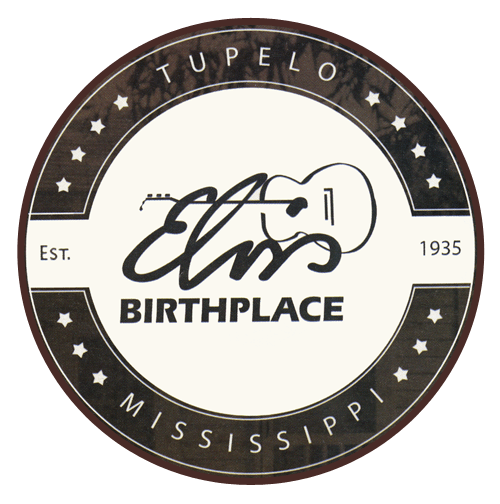 See the designated landmark signs as a Mississippi Historical Site, a Mississippi Country Music trail site, and as a Mississippi Blues site. See the statue of Elvis at 13 and the nearby “Fountain of Life” and story wall. 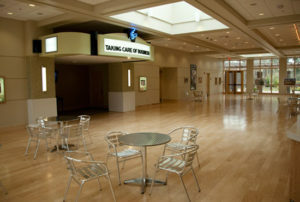 The Event Center offers a great hall, a theater, and a small meeting room. A full catering kitchen is available. Also offered is a “green room,” with a private restroom, security, and post meeting maintenance. Audio-visual equipment is available at no additional cost. Close by is a Reflections – a rustic, natural, serene place perfect for spending some quiet time. It is a lake with a wooden bridge and a fountain on the grounds of the birthplace but tucked away for peaceful reflections. The Great Hall is 2,500 square feet. It holds 18 round tables with eight chairs per table. Entry is available into the great hall from the outside by an east door or west door. Entry is available from the inside through the gift shop. A screen and projector are housed in the ceiling of the great hall. 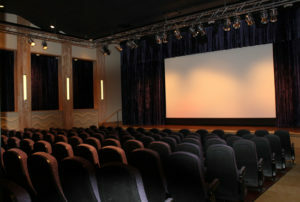 The theater offers a full stage with lighting. Projection to the screen can be either front or rear. Entry into the theater is from the great hall. 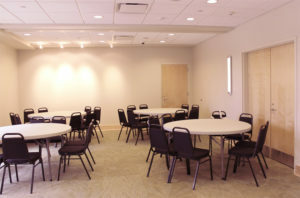 The meeting room is 585 square feet. With lecture seating, it seats about 50. With U-shaped seating, it seats about 25. With classroom seating, it seats about 25. Access is available through the great hall or with a separate exterior west door. 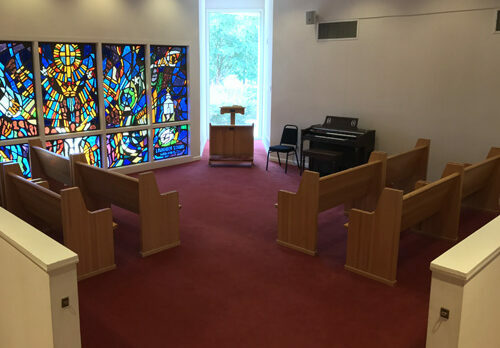 The chapel is a popular attraction and offers a time for meditation and a venue for weddings and special services. Elvis dreamed of having a “place of meditation” at the Elvis Presley Birthplace Park. Before his death, he shared that dream with friend Janelle McComb who envisioned adding a chapel to the park. The fans made that dream a reality with their generous donations. 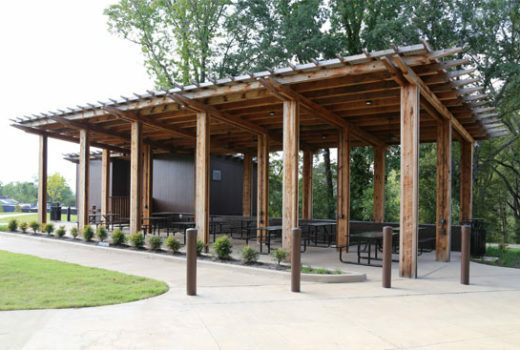 The picnic pavilion can be reserved for family reunions, church gatherings, organizational meetings, etc.